One of six state park resorts, DeSoto Resort State Park is a nature lover's perfect destination. Nestled atop Lookout Mountain and surrounded by 3,502 acres of fragrant wildflower trails and rushing waterfalls, modern chalets, rustic cabins and campsites welcome visitors to this unique park. From Interstate I-59, take Exit 218 and travel south on AL Hwy 35 for 1.2 miles to US Hwy 11. Turn left onto Hwy 11 and head north for 1.2 miles to Hwy 35/5th St. Turn right onto Hwy 35/5th St. and drive south 2.3 miles to the DeSoto Parkway. Turn left onto the parkway and drive north 5.5 miles into the park. In the rustic tradition of the Civilian Conservation Corps (CCC), Desoto State Park is accented by rushing waterfalls and fragrant wildflowers. The atmosphere of the CCC further enhances the lodge, restaurant, and cabin facilities. Nestled atop beautiful scenic Lookout Mountain in northeast Alabama along scenic Little River, this 3,502-acre park provides Mountain Chalets, Log & Rustic Cabins, Motel Rooms, Meeting Rooms, and also has both Improved & Primitive campgrounds. Also features a picnic area with playground, Olympic-size swimming pool, nature center with interpretive programs and live animals, & 19 miles of hiking & mountain biking trails. DeSoto State Park is located eight miles northeast of Fort Payne, Alabama. 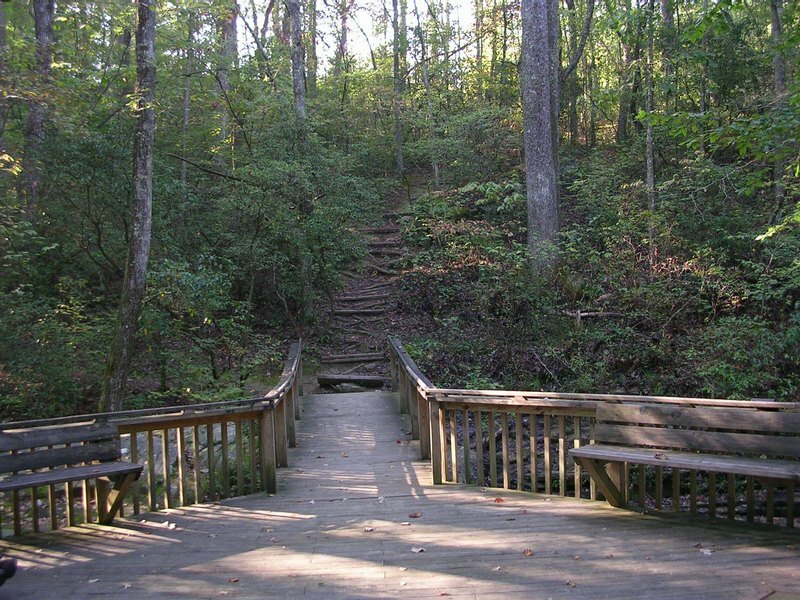 DeSoto State Park has 19 miles of hiking trails, including 7 miles of mountain biking trails. Terrain on all trails varies from easy to strenuous. "Easy' biking can be found on the Family Loop, located just off the Lost Falls trailhead; while still rugged terrain, it is mostly flat. Bikes are also allowed on the cabin road and in the campground. Helmets are required for children 16 & under. This boardwalk Trail was planned and built through a community effort headed by former park superintendent Talmadge Butler. 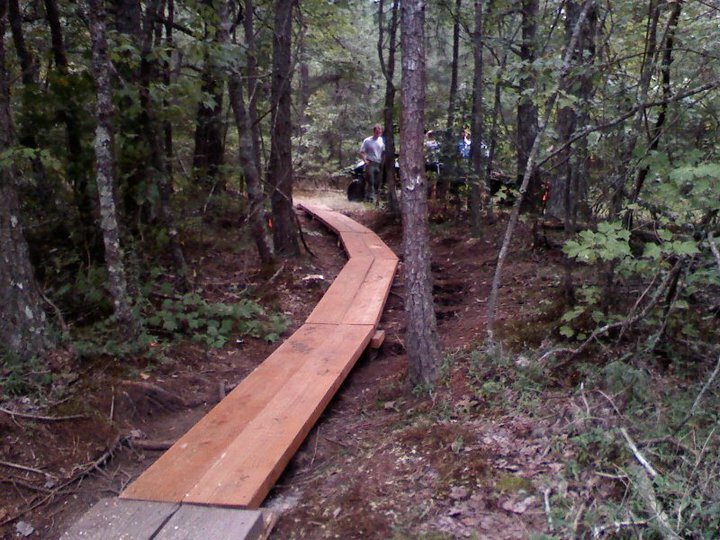 Grants and donations paid for the materials used to build the trail. It was constructed by the Alabama State Parks Maintenance Crew. The Boardwalk is a 360-yard trail that can be enjoyed and traveled by people of all abilities. No matter what the season, the boardwalk gives the hiker a unique perspective of the surrounding habitat. A 20-foot octagon deck at the end of the trail places you over the pool created by the Azalea Cascade. A mid-April walk encircles you with the fragrant aroma of wild azaleas. Wildflower Blooming Season usually ranges from March-November. 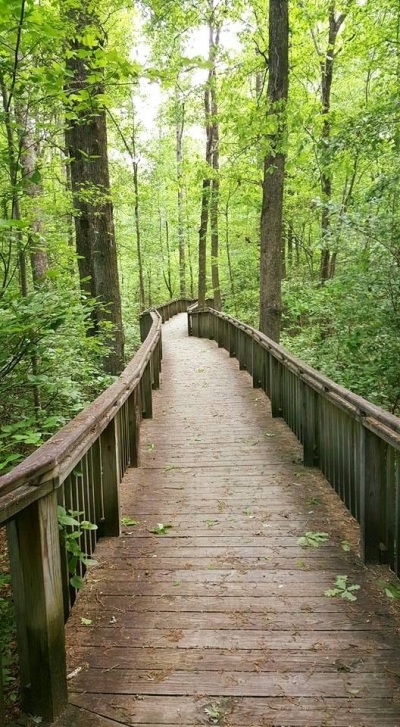 The Azalea Cascade Boardwalk Trail is also part of the North Alabama Birding Trail! 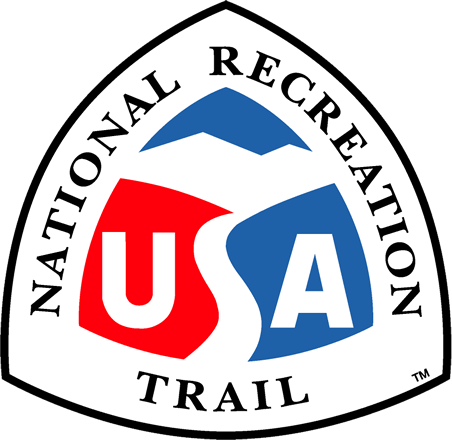 See the www.northalabamabirdingtrail for more info. 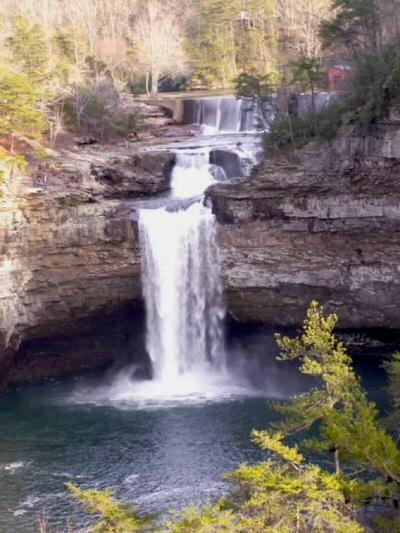 DeSoto Falls: This beautiful waterfall is formed by Little River dropping about 104 feet into a gorge. In the 1920s North Alabama's first hydro-electric dam was built above DeSoto Falls, which supplied power to nearby Fort Payne, Mentone, Valleyhead, Collinsville, Alabama and Menlo, Georgia. DeSoto Falls is about 6 miles from the main part of DeSoto State Park, near Mentone, Alabama and is accessible by County Road 89 that goes thru the park. Laurel Falls: This small but beautiful waterfall can be found off of the orange trail and falls about 6 feet. 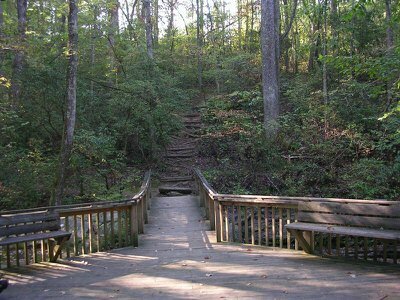 It is about 0.75 miles from DeSoto's Country Store and the trail is rugged & moderate with some uphill climbs. Indian Falls: This interesting waterfall falls about 20 feet into a small ravine, located just across the road from the Azalea Cascade Trailhead. Indian Falls is about 0.1 miles from the trailhead and is easily reached over a small footpath. A wooden footbridge crosses over the top of this beautiful sight. Lodge Falls: This easy to find waterfall is located just behind DeSoto's Lodge. Lodge Falls drops about 25 feet and is very rainfall dependant. The best view point of this waterfall is reached by hiking down into a small ravine and then getting on the yellow trail for a short distance and coming back out next to the Lodge. Lost Falls: This waterfall is the hardest to find in DeSoto State Park, mostly because when no water is flowing, it is truly lost! The best time to see this small 5 foot waterfall is in the Spring or Winter seasons. 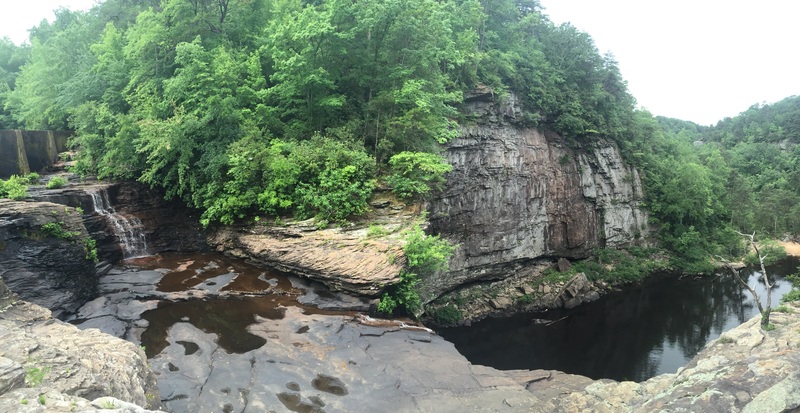 Lost Falls is located about 1.5 miles from DeSoto's Country Store and terrain can be moderate to mildly strenuous. Laurel Creek: This is a small creek that flows downstream and forms Lost Falls, Laurel Fall, Azalea Cascade, and Indian Falls. Small Laurel Creek then connects with Little River. Little River: One of the few rivers in America that flows almost its entire length on top of a mountain. This clean waterway forms in NW Georgia & NE Alabama and flows down the middle of Lookout Mountain, leaving the mountain at Little River Canyon Mouth Park and flowing into Weiss Lake in Cherokee County, Alabama. DeSoto Falls, which is upriver from the main part of DeSoto State Park, forms when Little River falls over 90 feet into a gorge. The West Fork of Little River flows downstream through the park, goes through the Wilderness Area of Little River Canyon National Preserve, and then over Little River Falls, dropping down into Little River Canyon. Swimming, wading and fly-fishing are popular activities in Little River as it flows throughout DeSoto State Park. Please Note: Most of the falls & streams at DeSoto State Park are dry in summer months. Mountain Bike Trails: DeSoto State Park has almost 19 miles of hiking trails, including up to 11 miles of mountain biking trails. Terrain on all trails varies from easy to strenuous. "Easy' biking can be found on the Family Loop, located just off the Lost Falls trailhead; while still rugged terrain, it is mostly flat. Trail maps & more trail information can be found at the Lodge, Country Store, and Nature Center. All mountain bike trails are marked by white diamonds on the trail map. New waterless comfort station at trailhead. Photo by Rob Grant. New laser-cut trail signage. Photo by Rob Grant. A trail passes above DeSoto Falls in Northeastern Alabama. Photo by Chris Sheffield. DeSoto State Park’s Azalea Cascade Trail. Photo by Tasha Simon.